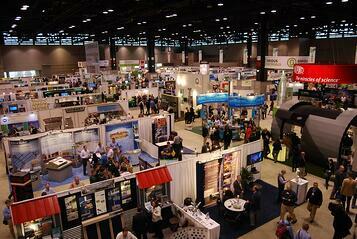 Will We See You at the International Builders' Show? In case you didn’t hear, the National Association of Home Builders (NAHB) is hosting the International Builders’ Show next week… and you don’t want to miss it! This show brings in the best designers, builders, etc in the industry to learn, collaborate and innovate off ideas; it’s the largest annual light construction show in the world, every year attracting more than 60,000 visitors from 100 countries. You’ll get the opportunity to learn different techniques, outside your markets, to stay competitive and ahead of the game. Stay informed on what the latest and greatest is in your industry in the US and discover different building trends in other countries… for FREE! The 2017 NAHB International Builders’ Show is set to have over 2,100 exhibitors and 900,000 square feet of indoor and outdoor exhibits for you to connect, explore and learn. Plus, you can experiment with hands-on construction demos and partake in interactive builder clinics. We’ll be displaying a wide range of products and components, including sunshades, trellises, canopies, walkways, decorative and impact shutters, windows and doors, Endeck PVC decking, screen rooms, universal enclosures, and more! CLICK HERE to get your free pass to the show!